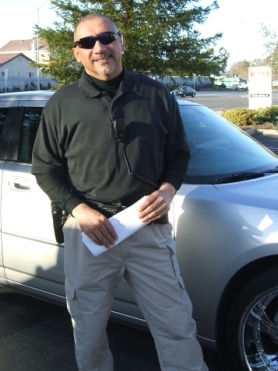 Introducing Your Primary Bail Bondsman Instructor and Bailspeak's Director, Rex Venator ~ California's Only Licensed Bail Agency owner and Veteran Bounty Hunter Currently Instructing CDI Approved Penal Code 1299 Classes Statewide! 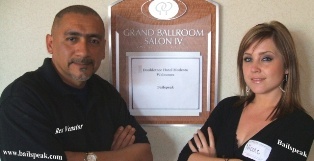 Bailspeak’s Primary Instructor and Director has been a California Department of Insurance licensed bail bond company owner since November of 1997—that’s over 19-Years Ago! 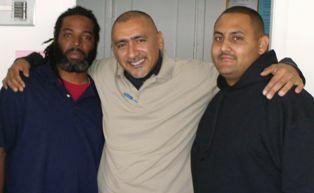 Today, it is important that those seeking bail education bluntly and plainly ask would-be instructors or self-proclaimed “Master Instructor” whether or not they have EVER legally run a bail bond agency in the State of California. 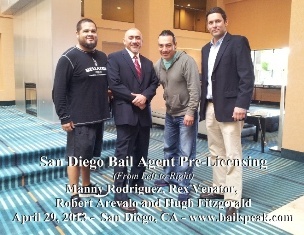 It stands to reason that any person seeking the most current and on-point bail training do so from a person who has actually run not one but multiple bail agencies over a protracted period of time and to the current date. The complexities of my various small business operations are such that personally standing before so many people who are seeking occupational fine tuning or protracted career course corrections to produce more cash for their families, or are searching for something, or who are new hires all creates an interesting set of dynamics: instructing bail agent pre licensing and continuing bail education courses for me is a freely made choice; my other ventures generate enough cash flow and keep me very busy; I genuinely care about where people go from class; my phone and email are always open to Bailspeak Alumni for general discussions; if Bailspeak Alumni succeed then I succeed—that’s it; that’s why I have personally instructed nearly 4,000 people in the Art of Bail. 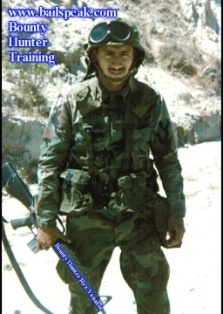 Expert Bail Witness, Rex Venator, began teaching several classes a day as an advancing martial artist in the late 70s, and Rex continued to teach, in the 80s and 90s, while also gaining his own training and experience in military and civilian law enforcement. 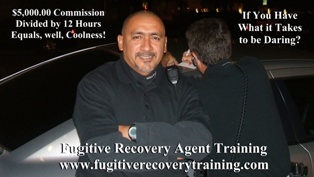 The Critical Response Training Academy was conceived in 1994 and fully activated in 1997 wherein a one-day lawful bounty hunting seminar was followed by 72-hours of Street Training of new bounty hunters. 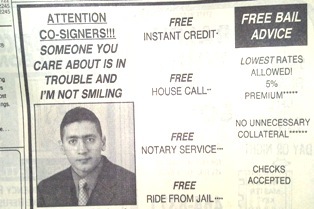 This was the catalyst for Bailspeak, and the Bailspeak Street Training Program is currently in operation today. 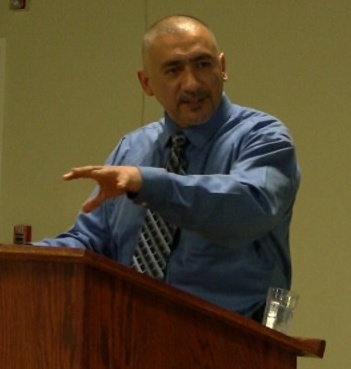 By 2006, Rex had become a published author, instructional DVD producer, and was on his way to become a nationally recognized bail convention guest speaker. 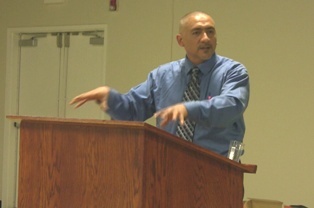 In 2007, while also speaking at the PBUS and later Bail USA Conventions, Rex independently conceptualized, wrote the curriculum for, gained California Department of Insurance Approval for a new Brand of revolutionary bail education, and ultimately founded the hugely successful California bail education school, Bailspeak. 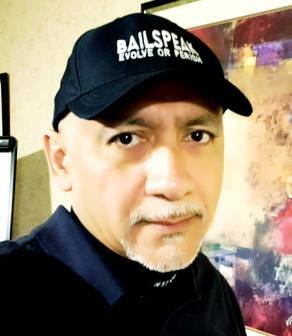 The next natural progression for Rex was to respond to the thousands of telephone calls since 2008 by people from all over America who were requesting online Bailspeak courses, which are now going, well, online. By early 2010, Rex had appeared on British News, Croatian TV, and appeared in the French documentary "US Marshals: The Big Business of Fugitives", and his Internet videos have been viewed over 1,000,000 times via various sites. 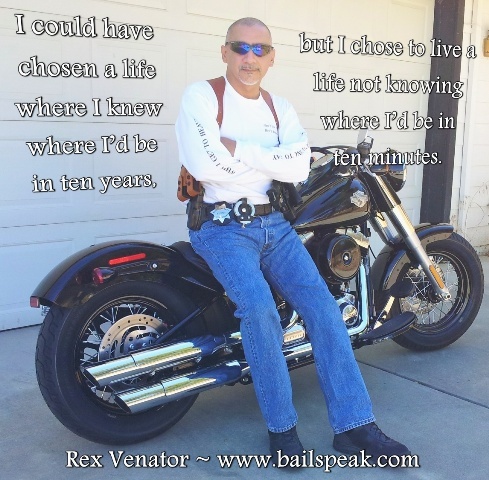 Since 2010, Rex has helped numerous persons, with no experience in the bail bonds business, launch their own bail bond companies and has acted as each of their "mentors." 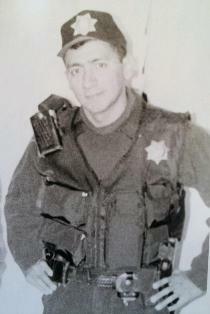 In 2011, Rex had become a TASER Certified Instructor “Authorized” by TASER to certify bounty hunters in the use of Conducted Electrical Weapons, sat on the Ad Hoc Bail Advisory Board Sub Committee on bail pre-licensing and its bail exam, and Rex became recognized as an expert witness in both federal and state matters concerning bounty hunting and bail bonds. In June of 2017 Rex appeared on the hugely popular Watchables' "Cholos Try..." Internet show that is now in its second season. Watch this episode HERE and enjoy. 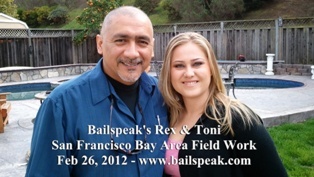 Today, nearly 4,500 people have earned their Bailspeak Certificates and are now Bailspeak Alumni; indeed, Rex continuously travels as a bail education instructor and National Guest Speaker including a recent speaking engagement in Nashville, Tennessee; moreover, Rex’s work as a California Superior Court Expert Witness in Bail matters has skyrocketed, and the major bail bond job recruiters turn to Bailspeak and Rex for the training of their new hires and have taken action to make Bailspeak their exclusive source of California Bail Education barring emergencies. 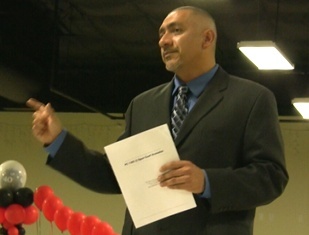 Rex launched the Special Access Program or (SAP) YouTube Channel in January of 2018 to provide, for free, critical information for many subjects to include bounty hunting and bail bonds. 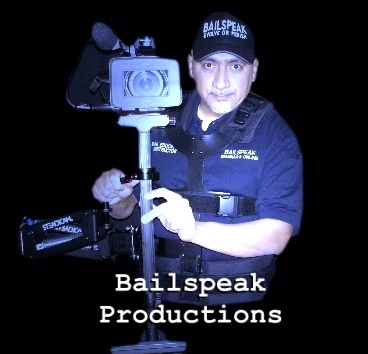 Rex's current, Top Secret, project is now underway and has been teased as the "Bail Instructor Academy," and he continues to receive queries from Reality TV producers to audition and shoot promos for a variety of show proposals. 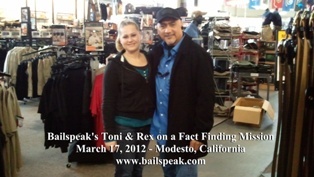 At the time of this writing, Rex is the only, undisputed California bail education instructor with a long and ongoing history of legally running bail bond agencies, legally drafting bail bond motions as an appointed agent for various sureties, legally appearing in open court to argue bail motions, and lawfully bounty hunting on the lesser known mean-streets of California within the language and meaning of various Insurance Codes, Penal Codes, and Title 10 Code Sections. 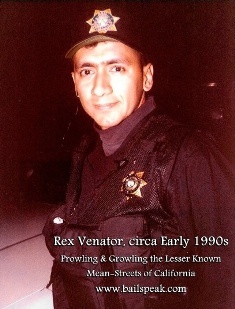 Rex Venator Prowling and Growling the Lesser Known Mean-Streets of California in Pursuit of Wanted Felony Bail Jumpers sometime in the Early 1990s. 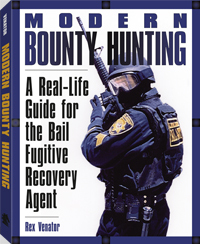 Bail Bonds and Bounty Hunting methods and strategies have in some ways evolved and yet have also remained timeless in other ways. The difficult task is in understanding and adapting to that area between the evolution of bail and the effectiveness of time tested gumshoe work. 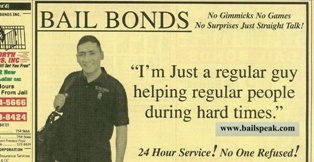 With respect to bounty hunting investigations, I have come to accept that there is no check the list form or structured way to find wanted felony bail bond fugitives; each and every bail jumping case that I have worked and closed were all unique insofar as actually locating, identifying, apprehending and booking wayward bail bond clients. 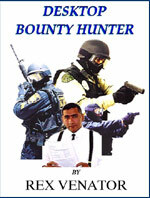 The inescapable fact is that times do change and so must bounty hunters in order to go home safely to get paid safely. 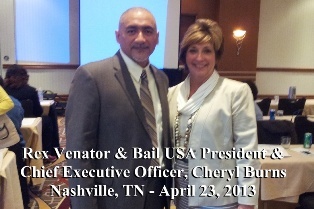 Bail jumpers and their associates are often the same people that both law enforcement personnel and bounty hunters have an interest in but for different reasons: law enforcement personnel enforce government laws; bounty hunters enforce private civil surety contracts. These realities are extremely important to the bounty hunter for his her own legal protections. In my experience bounty hunting for nearly a quarter century, a hard-pressed and desperate bail jumper looking at 25 to Life in state prison couldn’t care less who is walking through a door with handcuffs and neither do equally wanted associates; all these wanted felony fugitives know is that handcuffs are coming through the door, and no one knows who those handcuffs are for—think about that in terms of today’s mindset towards the fine men and women of today’s law enforcement agencies. There have been very tragic events in recent years where bail bondsmen, bounty hunters and law enforcement personnel were murdered not by the people they were seeking but by the associates of the people they were seeking, and all of these occurred after the photographs were taken in this thread. 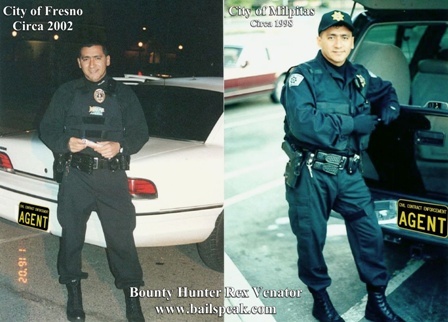 Times change and so must we; however, there are those out there who do not change and will expect and even demand that today’s bounty hunters also not change. Take caution and be mindful that it is you and your team at that door. Take caution and never allow anyone tell you how to knock on that door. Take caution and know who you’re going through that door with. Take caution and check your flanks for third party bandits. Take caution and have your exfiltration covered always. Take caution and go home safe. 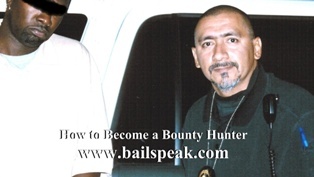 The requirements to become a bail bondsman or bounty hunter in California, while seemingly direct pursuant to California Penal Codes Sections beginning with 1299 and including Insurance Code and Title 10 Code of Regulations, are immeasurably more convoluted to the extent that one’s more precise queries should fall within the realm of questions more on point to lawful bounty hunting with an emphasis on staying out of criminal court, civil court and the morgue. 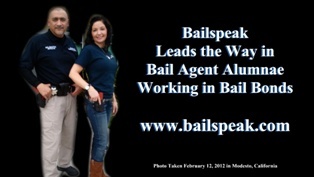 Every Bailspeak Bail Bond and Bounty Hunter Pre-Licensing Certification and Continuing Bail Education Class includes 22 hours of intense instruction on the lawful transaction of bail, lawful bounty hunting, and advanced bail law and motion bounty hunting that is all complete with rigorous testing in all subject matters to reinforce retention of vital educational objectives. 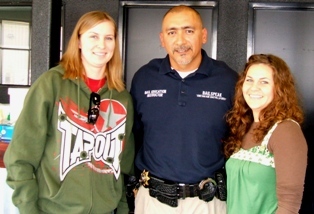 Constant real world exposure to the aforementioned disciplines continuously enables Bailspeak instructors to put forth the most timely, relevant, and useful information that only licensed bail agents, PC 1299 Compliant Bounty Hunters, and bail agency owners with cutting-edge experience in today’s California Superior Courts can offer and all of which makes this course unlike any other, according to Alumni with various backgrounds including decades in the bail industries in California and throughout these United States where there is commercial bail. 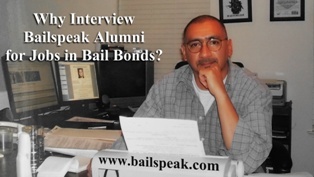 Indeed, Bailspeak is the most trusted, transparent, fastest growing, and absolute State-of-the-Art bail education school in California with an outstanding reputation according to its nearly 4,000 Alumni; moreover, Bailspeak’s instructors are, by and large, alone as described in paragraph two above. 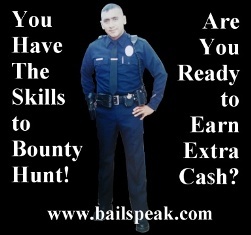 Leading California Bail Industry experts, surety executives, and a growing number of government officials from numerous California counties are actively seeking out Bailspeak’s instructors for professional consultations regarding bounty hunting, the transaction of bail, and bail bond law and motion. 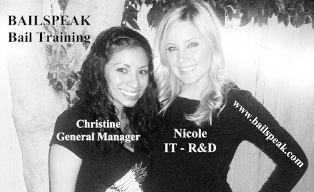 This specific California bail school has been training bounty hunters and bail bond professionals since early 1994 Bounty Hunter Street Training days and with nearly ten years as a California Department of Insurance Approved Bail Education Provider—the principles involved have been Liability Free for nearly a quarter of a century. Rex Venator Takes Down a Felony Hazard Bail Jumper after a protracted foot-chase on the lesser known mean-streets of Sacramento County while cameras are rolling. Hover your cursor over the above photo for a glimpse of Rex's instruction.